It’s so much more than just looking pretty in a tutu. Have you ever watched a ballet and sighed at the impeccable beauty the dancers exude as they float on stage? Were you ever enrolled by your parents in ballet class when you were four or five just because, well, you’re a girl and here in the Philippines little boys get sent to basketball camps in the summer, while girls almost automatically take ballet? For most of us, this is the closest we've gotten to the ballet world. With little to pique widespread interest in the art as a profession here in Manila, a college degree trumps a career in dance 99.99% of the time. The ideal order of progression usually starts with ballet for toddlers and ends with prima ballerina status. After children’s ballet, one should continue honing her craft and start training professionally as an apprentice in high school. By college, one should ideally already be part of a company doing core work. If you retire into teaching or open your own school after, then you have come full circle. It may be a road less taken, but the career thrives--and yes, there are other Filipina ballerinas out there. 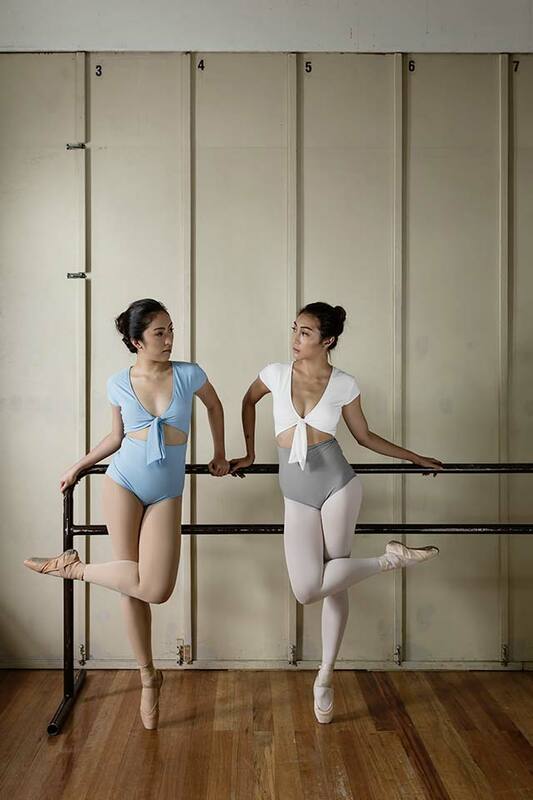 Meet Joni Galeste, Rafaela Almeda, and Mara Francisco, three working ballerinas at different stages of their respective careers who will share the ups, downs, perks, and struggles of ballet, and what it really takes to become a ballerina in Manila. How old were you when you first started doing ballet? Rafa: I started when I was three but then I stopped and then came back when I was six. Joni: I was seven. When I was young, my parents asked me what I wanted to do when I grew up and they said my answer was I want to be a boy. Because of that, they put me in ballet classes. Mara: I think I was seven. It was one of those usual packages where parents enrolled their kids in. I also took piano and voice lessons while doing ballet. When did you realize that ballet was something more than just an after school extra-curricular activity for you? R: My mom noticed I would copy poses from ballet books even during the time I stopped so she enrolled me at the Center for Movement and Music where I began training and honing my skills. I’ve been doing ballet ever since. M: I think, unconsciously, it was when I was in 4th grade. I had sprained my ankle and I threw a big tantrum because my mom wouldn’t bring me to ballet. I cried so much that she had to bring me to the studio. I didn’t want to miss anything so I just sat and watched my classmates rehearse. It was then I knew I enjoyed dancing more than anything else. J: When I was in second year high school, I joined a ballet competition and I realized that, yeah, this is hard, but this is what I really want to do. Right after high school, I told my mom that I didn’t want to go to school anymore. I decided that I want to dance first. What are the struggles you go through as dancers? J: Ballet takes up so much of your time. You have to be there from 2pm to 10pm and if you miss a day or two, you will really feel it. Ballet is such a selfish art. You need to give it so much time. It’s not something you can just do because it’s fun. M: For me it’s maintaining weight and at the same time being healthy. I wasn’t exactly blessed with the perfect ballerina body. I’m short and I have wide ribs and shoulders, which make me look shorter. I have to work double on my physique to blend with everybody else. R: Balancing your priorities. My classes are in the morning until 2:30pm or 3pm and then I go to ballet at 5:30pm until 10pm. The youngest of the three, 19 year-old Rafa is currently a sophomore taking up Tourism Management at the De La Salle College of St. Benilde. While Joni chose to dance before finishing school and Mara finished school before dance, Rafa is juggling both at the same time. Balancing the collegiate life and training as an apprentice at the Philippine Ballet Theatre, this young lady proves that it can be done. Through time management and applying the discipline she learns in ballet, she manages to ease through both quite impressively. “It’s always good to have a backup plan,” she says. And although she hasn’t really decided yet if it is ballet that she wants to do for the rest of her life, her current dedication to the art shows that she has a bright career ahead of her—no matter what she chooses. What do you love most about being a ballerina? Are there any perks? R: The discipline you learn. You really learn a lot from it. J: The discipline that you learn from dancing. Self confidence also in general. A perk is that you get paid to stay fit. M: I love the inexplicable feeling you get on stage. Some would argue that at 27, Mara is in a tough position to peak this late in the game. But this fighter begs to disagree. “When I was in college I was on dancing hiatus for like four years (she suffered from an ACL Rupture during a performance as a cheer dancer in Ateneo) and I had to wait until after college to start dancing again. When I graduated, I was super overweight. I first worked at my home studio as the studio manager also teaching classes. But during that time I realized that if I really wanted to dance, I needed to make the most out of it while I still can. I can teach when I’m older and run my own studio even if I’m immobile, but I can only dance for so long. So I made a promise to myself to pursue my life long dream of dancing professionally. It had to start with losing all the weight.” Mara tried diet plans, did extra work outs in between training and eventually saw a nutritionist. A few years in the making, Mara committed to a change in lifestyle, lost weight effectively, and is now an apprentice fulfilling her dream. Can you share with us a common misconception about ballerinas that you hate the most? R: They make it look like it’s very easy. Also, like shows and magazines that come out where they just put girls in a tutu and ballet shoes they think that it’s that easy, but it’s not really. J: That we have to diet. I think people tend to generalize because of the movies where ballerinas are shown as anorexic or bulimic. We need to eat because we are pretty much athletes. If I don’t eat enough I lose muscle mass. M: I think a lot of people don’t consider the amount of work that you put into being a dancer. So much effort, time, and literal blood, sweat, and tears are put into rehearsals for just a few minutes on stage. When does one get to call herself a ballerina? R: Maybe when you’re passionate and dedicated to it. That you’ll do anything just to dance. When pain becomes irrelevant if it means you get to perform. J: I think when you hit a certain level of artistry. The biggest difference about being in a professional company and being in school is that in school you learn the techniques and the steps. But once you get into a company, it now becomes about being able to tell a story. Or making the audience feel something. I think once you’re able to make the audience feel something, that’s when you get to call yourself a ballerina. M: Apart from the advanced technical skills and years of training, I think it’s when a dancer displays a certain maturity when on stage. When the dancer effectively brings out expressions when she moves, she is a ballerina. Hardest part about being a ballerina? J: When your body is so tired, your feet are bleeding, toenails are dying and you still have to come in. Until when you think you will be doing ballet? M: I honestly don’t know. Since I started late, I haven’t experienced much being in a professional company but I’d like to do it as long as my old and aching body can move.